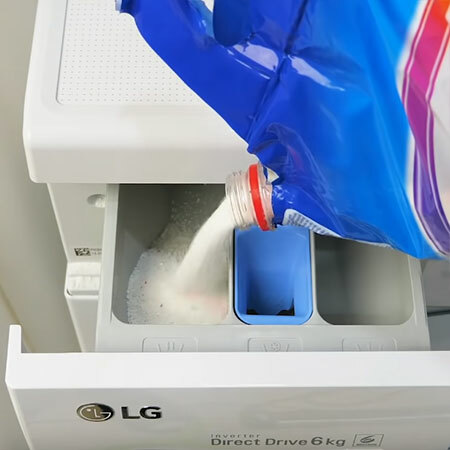 This life hack shows how you can recycle a plastic bottle into a no-mess pour nozzle for washing powder, rice, coffee refills or other packets that usually end up making a mess. 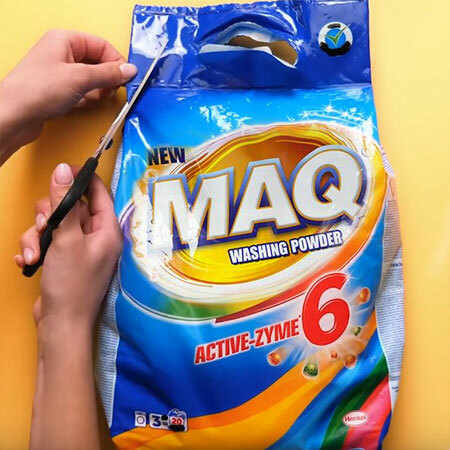 When you buy big packs or refill packs, it isn't always easy to pour these where they need to go without making a mess. 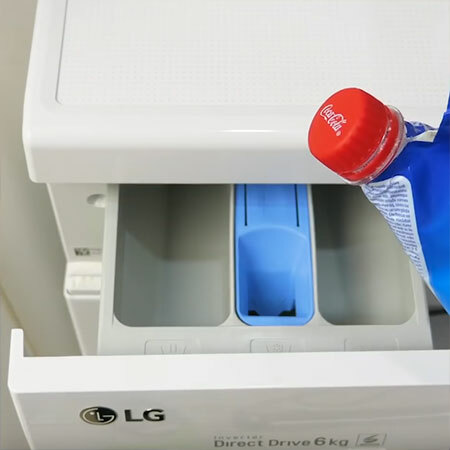 This no-mess pour nozzle not only involves recycling, it also lets you make a no-mess pour nozzle that leaves no mess. 1. 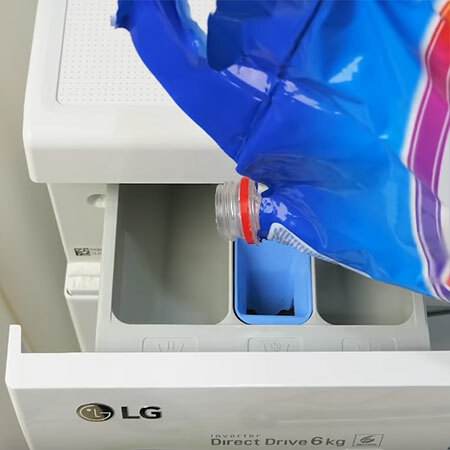 All you need to make a no-mess pouring nozzle is a plastic bottle. 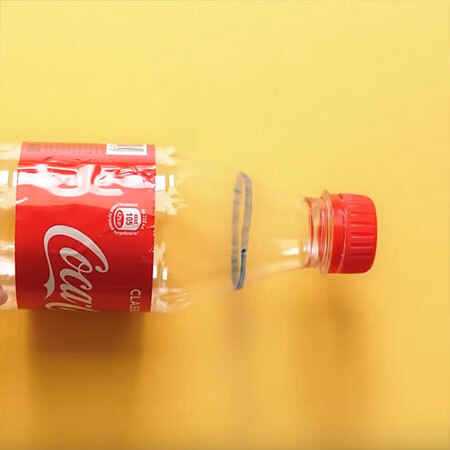 Use a permanent marker to draw a line around the top of the bottle and then neatly cut this with sharp scissors. Now you have the main part for this project... the nozzle. 2. 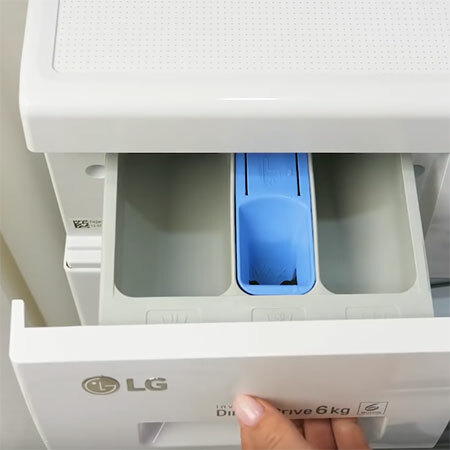 Cut open your plastic packet or refill, making only a small cut out at the top of the packet. BELOW: The cut-out for fitting the no-pour nozzle. 3. 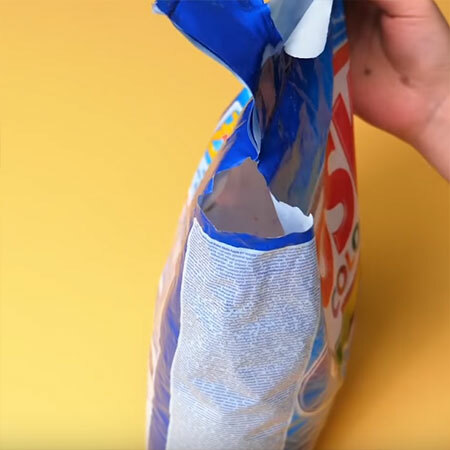 Fit the nozzle inside the cut-out in your packet and then use heat to seal up. 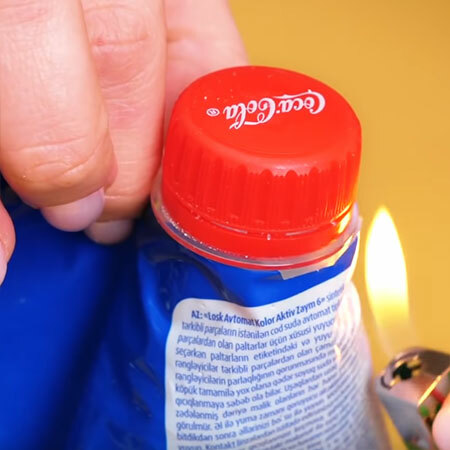 You can use a lighter to do this, or you can wrap elastic bands around the top to hold the nozzle firmly in place. 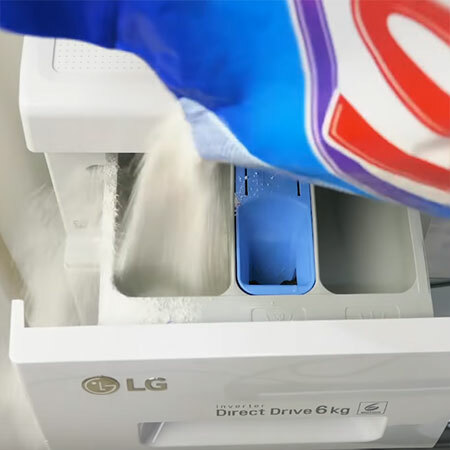 BELOW: The no-mess pour nozzle on a plastic washing powder packet. 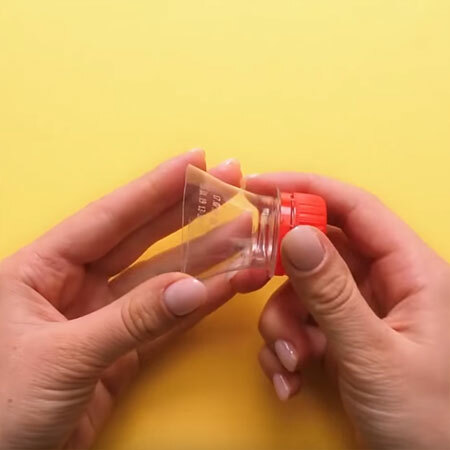 Now you can easily pour product without making a mess!